One of the most important coins in Mexican and North American history up for auction November 6th could set a record. 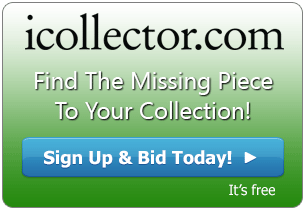 iCollector.com, a leading marketplace pairing coins with live internet bidding, is partnering with Daniel Frank Sedwick LLC for an historic and important auction on November 6, 2014. 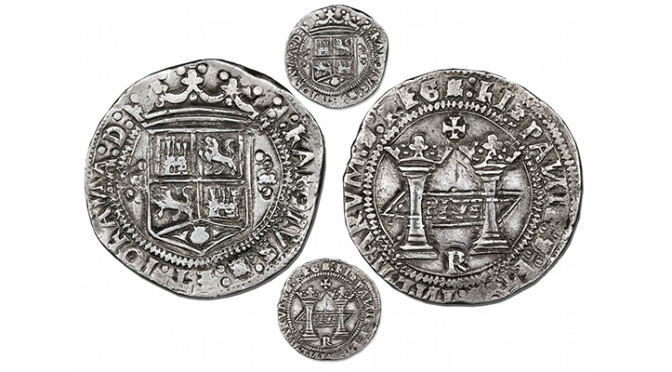 The Treasure Auction comprises over 1100 lots of outstanding Spanish colonial coins, shipwreck coins and artifacts, as well as US minted coins. None will be more important than the feature of this auction, an outstanding Mexican coin named “The First Crown of the Americas”. 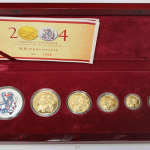 This will be looking to set a world record at auction for any coin not minted in the US. Such an important coin must be placed with an important auctioneer in this field. Daniel Frank Sedwick, with a bachelor’s degree from Duke University, became a full time numismatic dealer in 1989. Mr. Sedwick specializes in Spanish colonial coins, shipwreck coins, as well as artifacts. He worked in partnership with his father, Dr. Frank Sedwick, until his passing in 1996. Throughout his career, Daniel has been a renowned speaker, provided world renowned consulting and appraisal services, and is a published author. With this extensive experience, he has built an outstanding reputation, and is the absolute best auctioneer for a coin of this maginitude. “We cannot overstress the importance of this auction, both for the history of Mexico and the larger field of North American numismatics,” says Mr. Sedwick. “These coins are the absolute root of the concept of the American dollar”. 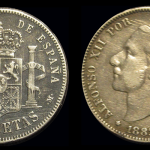 The feature coin is an 8 reales, minted in 1538 during the reign of Charles and Joanna of Spain while Hernan Cortes was still exploring the territory, known as “The First Crown of the Americas”. This is widely acknowledged as the first dollar-sized coin struck in the New World and is one of only three known; all found on a shipwreck in the early 1990’s. The coin up for auction here is of best quality and this is the first time it will be offered publicly. 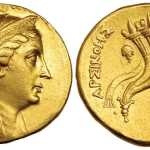 Bidders can view this coin at Lot 404 in the online catalog on iCollector.com for photos and a comprehensive history about this important coin. “The auction estimate for this coin will be $500,000 to $1 Million, with an unreserved starting price of $475,000. We already have interested parties, which means the coin could break the record for the highest price ever paid for a ‘dollar’ that was not struck at a US mint. “, points out Vice President Agustin Garcia-Barneche. This coin will be auction off using iCollector.com’s industry leading bidding technology and secure website. 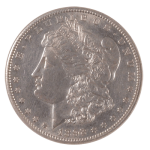 iCollector.com has been partnering with numismatic auctioneers for well over a decade, and appreciate the outstanding quality Daniel Frank Sedwick, LLC brings to each and every auction. This auction will be spread over 5 sessions all on November 6th, 2014 and broadcast for live internet bidding from Orlando, Florida. Bidders can visit the online catalog for a simple and quick registration, place their maximum bids before the sale, or bid live in a fully secure environment.